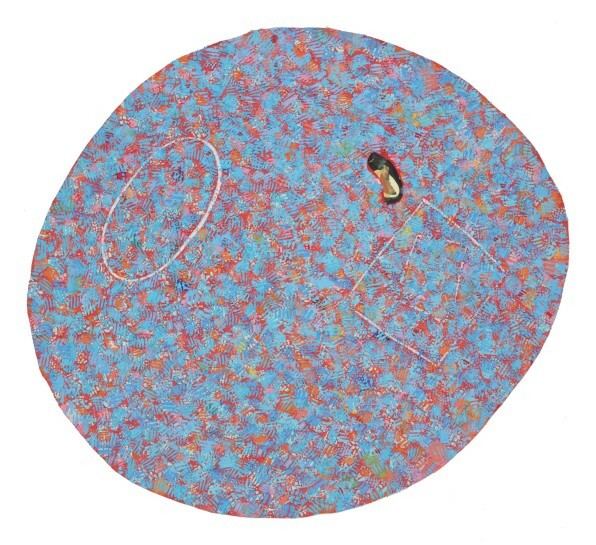 Dots, dots, and more dots: Punched-out paper circles accumulate in dense, nearly geologic thickets, or scatter into coruscating, anti-optical arrays on the surfaces of Howardena Pindell's paintings. With these signature dots, the New York-based artist flouts the stringent orthodoxies of vanguard painting that dominated art schools when she was a student at Yale University in the late 1960s, opting instead for an unapologetically unconventional mode that also includes glam sprays of glitter, exuberant color, and labyrinthine passages of stitching. Abstraction, for Pindell, is a mode of contemplation, but it is also a cri de coeur, a heartfelt yearning for cohesion or resolution that is constantly thwarted or denied.